Any teacher is sure to feel special when they receive this collection of gifts and gourmet goodies designed exclusively for teachers. 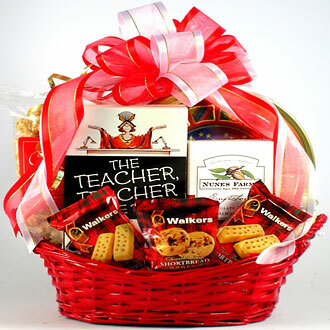 Teacher gift baskets are a great way to show your appreciation to a teacher. 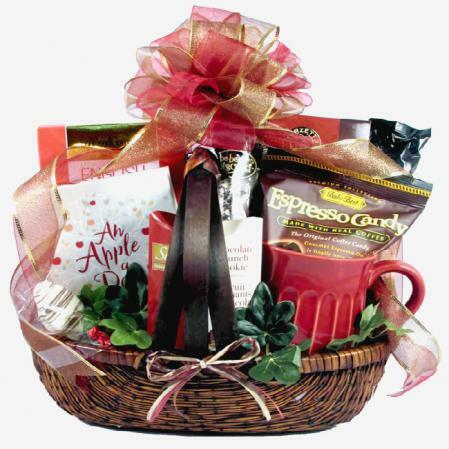 This delightful teacher gift basket makes a great holiday gift for teachers or a nice end of school year gift. 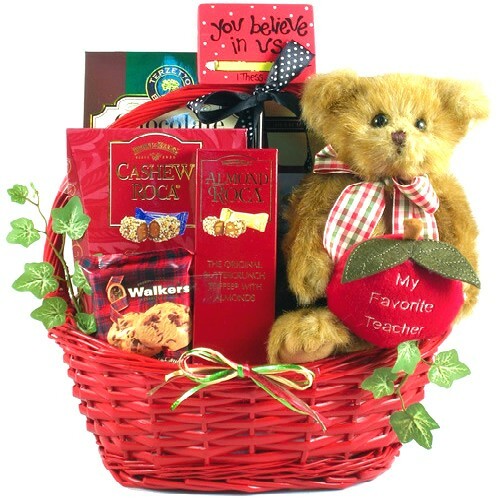 This cheerful collection of gifts features a collectible Bearington “My Favorite Teacher” bear, alongside some of our most delicious gourmet goodies!